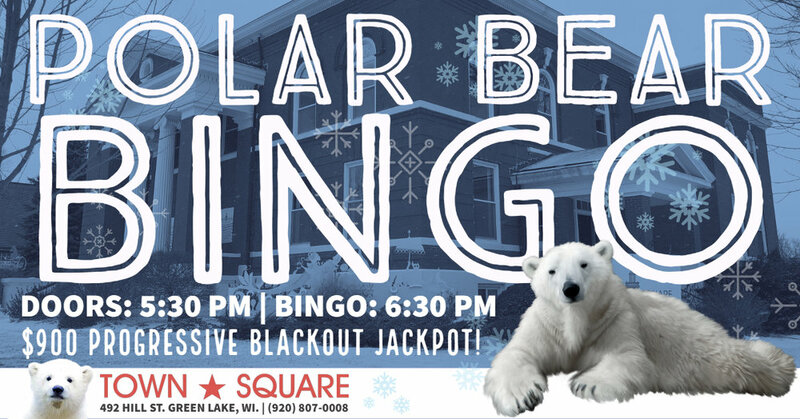 People from throughout the Green Lake County area and beyond will be coming out of hibernation for Polar Bear Bingo this Saturday, January 26 from 6:30 pm to 8:30 pm at Town Square Community Center in Downtown Green Lake. The 13-game series features a progressive jackpot prize of $900, plus a 50/50 raffle, door prizes, and plenty of family fun. Concessions will be available for purchase, including $2 Sheboygan hot dogs, chips, beer, and wine. Doors open at 5:30 pm at 492 Hill Street, Green Lake. Newer PostWear You Most Outrageous Headwear at Crazy Hats Bingo!